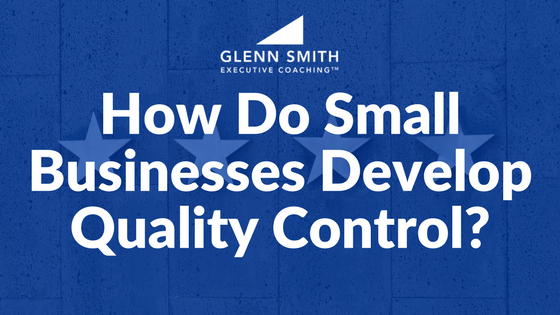 How Do Small Businesses Develop Quality Control? You must have a system for quality control if you want to create a world-class business that is sellable. In fact, the survival of your company depends on your ability to produce a quality product or service. Quality Control: How Do You Define It? 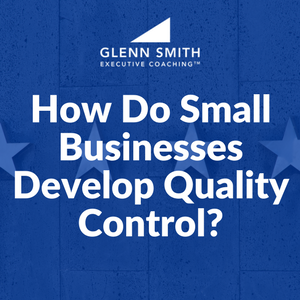 How does a small or mid-size business achieve quality control? First, you have to define what “quality” really means in your business. Most industries have quality standards. It is typical for an industry to have an association or trade group that sets quality standards against which companies can measure the quality of their product or service. You can create your own statistical definition (or metric) by which you measure your products or services. There are even international standards of quality set for most industries by the International Organization for Standardization. These standards are recorded and updated periodically in a family of documents known as ISO 9000. There is even a special publication just for small business called ISO 9001. By asking this simple question you will get a “Net Promoter Score” which will tell you if your customers are promoters, neutral, or detractors. This will tell you how they perceive your quality! It doesn’t matter if you think you have quality control; what matters is if your customers think you do. Quality Control: How Do You Maintain It? The goal of every small business should be to create a business system that is profitable, consistent, and predictable. As a business owner, you want your business to run just as well when you are away as it does when you are present. Your business must be able to perform successfully without you or else you do not have a sellable business! This requires that you maintain quality control. And now you’ve defined it, but how do you make sure you keep it going? I recommend that business owners institute a system for feedback (like the Ultimate Question), and then create a plan for continuous improvement. A simple technique is to take a Strategic Retreat every 90 days to review and assess your feedback. Once you as the owner have reviewed it, have your team review and assess it as well. Then brainstorm as a team on ways to improve your processes so that you will not only meet but exceed your customers’ expectations. If quarterly seems to frequent, then take your team on an annual or semi-annual retreat to accomplish this task. Plan together so everyone “owns” the process and the vision. As products and services evolve, consumer expectations tend to increase so that yesterday’s quality product becomes tomorrow’s junk. Every small and mid-size business MUST have a plan for quality control and continuous improvement. How are you involving your employees/team so that they own this goal? What is your system for continuous improvement? I hope you will be intentional. Take action today. Need encouragement, ideas, resources, and accountability? Contact a trusted business coach! Small businesses should pay close attention to quality control. Your future is dependent on it. Here you will find helpful, concise information to help you.